Blueprint: Reggae star, Luciano, made a surprise appearance at this year's Western Consciousness much to the enjoyment of patrons. Luciano, popularly known as 'The Messenger' didn't waste any time giving an impassioned performance of his popular Sweep Over My Soul, Come Away, Peter Tosh's Legalise It, and Tired Fi Lick Weed Ina Bush - a Jacob Miller original. The Guinness-sponsored event which was staged at Paradise Park, Petersfield, Westmoreland on Saturday night also featured explosive performances by Bounty Killer, Tanya Stephens, Beenie Man, Freddie McGregor and Little Hero. 'The Messenger' whose set had been heralded by one of the MCs, Cordel Greene, Executive Director of the Broadcasting Commission, was undoubtedly one of the night's favourites. 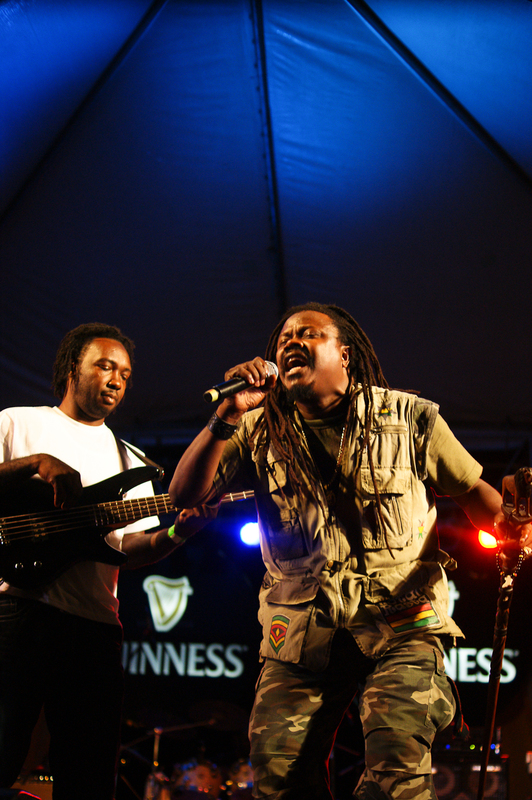 Gary Dixon, Brand Manager of Guinness said, "Having Luciano on the show was definitely a great addition and the patrons were not only surprised but seemed to love the musical message he brought to the table. It was definitely a great touch to the night's proceedings." Luciano who has been traveling across the world spreading his musical message, earlier this year, partook in an African ceremony in Gambia. This special Jola initiation ceremony was a biennial event designed among other things to encourage people of African descent in the Diaspora to discover, reconnect and embrace their ancestral identity, whilst showcasing Africa's rich cultural heritage. What is referred to as the "Futampaf" ritual, provided a good opportunity for the home-comers to taste and experience the uniqueness of this ritual. Luciano and other initiates were formally adopted into the Jola family with new African names.